The shape of Crown Charcoal allows hot air to move freely making your pull easier and your smoking experience more comfortable. With Crown Charcoal, your Hookah will be ready within a couple of minutes. It is quick to ignite and doesn't require adjusting on the Hookah bowl. Just enjoy your Hookah session! Crown Charcoal is made from a blend of European origin wood material. 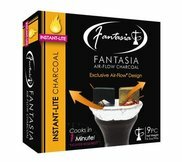 Rapid ignition of charcoal is achieved through a unique mixture of organic and food-based ingredients. No nitrate or sulfur is used for the production of our charcoal. 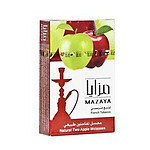 Smoke with Crown Charcoal and you will feel only the taste of the shisha. Crown Charcoal evenly heats all the shisha in the bowl letting you enjoy your Hookah longer. Unique production technology helped make Crown Charcoal tablets more dense compared to other quick-light hookah charcoals. Crown Charcoal will heat quickly and last up to 60 minutes! Put a coin or piece of foil on top of the Crown Charcoal tablet. That will prolong the heat time by around 10 minutes. 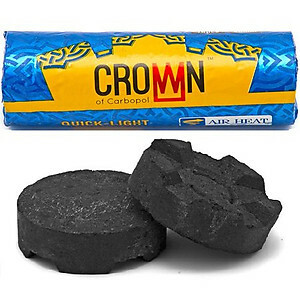 If you want to use part of the Crown Charcoal tablet, crack it up before ignition. It is dangerous and more difficult to crack it. Use two Crown Charcoal tablets for a larger bowl. The charcoal tablets should cover approximately 50 to 60% of the bowl top. You do not need to move the tablet during the hookah session. Just relax and enjoy, Crown Charcoal will do all the work. Each roll of Crown of Carbopol Charcoal contains ten individual charcoals.